We all want beach body abs right? Trying to balance diet and exercise can be hard. If your just getting started or you have been doing bodyweight training for a while it might be time to consider moving things up a notch. There are so many products on the market it’s hard to know what to choose. We have tried out some options to find the best ab machine s of 2018 so you can stop looking and start training. While most people focus on the goal of getting a great set of abs for the beach, it’s often forgotten that training your core is also really important. Having a weak core can lead to back pain, poor posture and many other related health issues. So you want to buy an ab machine to help you kickstart your fitness goals. But you want to make sure you get the best ab machine for you and your situation. So what do you need to think about? Price – How much do I want to spend? Is the more expensive model better? 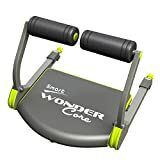 We start with the wonder core as we think its one one of the best pieces of abdominal exercise equipment you will find. Its design is simple but highly effective. It also has the advantage of being small, lightweight and easy to store or take with you. It provides adjustable resistance so you can challenge yourself as your progress. The wonder core allows a full range of ab circuit exercises as well as hitting some leg and glute work to give you a more toned and sculpted look. Check out our more detailed review of the wonder core smart here. These are so simple its actually crazy. You can just pop them in your bag and take them anywhere. 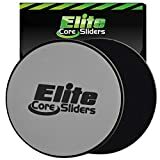 The elite core sliders can be used on hardwood floors or carpet. It’s so easy to integrate them into all kinds of workouts. Use them when hitting your cardio, Strength work or working towards your yoga or pilates body. Bottom line- you can ad them to just about any training method and ramp up your results with just the sliders and a floor. Correct and achieve better posture and with the Inspiratek Posture Corrector. women and kids with chest circumference from 31-41". While the concept of the ab wheel has been around for a long time. The ab wow abdominal exercise machine ads a new dimension to this handy ab maker. The addition of the elasticated resistance band in this model opens up a world of opportunity. It can be used with or without the band. This allows the workout to be tailored to your fitness and ability level which is great. The handles have great grips and it comes with a well-padded mat to protect your knees if being used on a hard surface. The AB Wow comes with a fully illustrated guide so you can get the workout you want for your abs, arms, back and so on. A few other things worth noting is that its pretty heavy duty so should put up with a lot of use for a long time. They also offer a 100% satisfaction money back guarantee. And lastly its super quite so you can use it just about anywhere and anytime. The Perfect fitness ab carver pro looks more like some kind of weapon then a piece of exercise equipment, but don’t let looks fool you. It contains a special spring which drives its Kinetic Assist engine. What does that mean? Well its designed to make your ab circuit workout more efficient. It also helps you to perform the require motion more easily and more accurately which should both improve your results and lower the risk of injury from poor form. If you have ever seen a $10 Ab wheel at wallmart you will notice that the ab carver pro is quite a bit wider with the handles sticking out much further then usual. This is a neat feature that helps you to balance more easily so you can focus on the workout and not on trying to stay upright. Compare to a typical ab wheel this is a very robust piece of equipment. Its a lot more heavy duty and that combined with the kinectic assist feature does seem to justify the price. We like this one a lot. The Ab Coaster PS500 takes a completely different approach to working your abs. Instead of working from the top down it works from the bottom up. Confused? Don’t be, it’s simple really. Having the mechanics of this ab machine the opposite way around to the other options can really help when trying to work your lower abs. This is particularly true for those with existing back issues as the resistance is completely different. You will start by kneeling on the main seat or carriage and you lift or in this case slide your knees upwards. The higher you go the harder you work. This is a great way to progress as your abs improve. No neck or back strain here just glide and workout. There is an additional feature with the Ab Coaster PS500 which is two plate loading posts. This means that once you get to a certain level you can add additional weight and really pump up your workout. Essentially this Ab Coaster is similar to those you would see in a commercial gym but they have downsized it so it can fit neatly in your home. 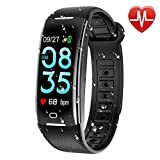 Its on the higher price end of the options but there are a lot of extra features so it really comes down to what your looking for. Apart from the price there don’t seem to be to many downsides to the Ab Coaster PS500. For those who have issues such as neck pain or back pain the ab rocket twister abdominal trainer would seem like the right choice for you. The padded chair frame gives support to your neck, back and body during your workout. Unfortunately the ab rocket just doesn’t seem to make the grade. While the concept of the extra support is great it doesn’t achieve what it set out to do which is deliver an effective ab workout. Overall the user reviews are not great and our experience was the same. This together with the price doesn’t fit the bill for us. 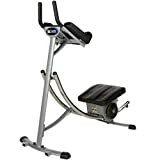 If you are looking for something that will give you the ab workout and save your back then the ab coaster PS500 or the wonder core smart reviewed above are probably best for you. Unless you have been living under a rock you have probably seen the infomercials for the ab circle pro which is endorsed by celebrity trainer Jennifer Nicole Lee. She claims to have used the ab circle pro to carve her new body. This after losing a lot of weight and having kids. She recommends that its great for toning your core after pregnancy like she did. 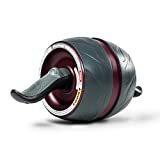 A little like the Ab Rocket twister the ab circle pro seems to be a lot more hype and marketing than truth. The company claims you can do just a few minutes a day on the pro and lose 10 pounds fast. We didn’t find this to be true. We also didn’t see any great improvement in core strength or ab tone or definition. If your looking for results and planning on spending this kind of money then the Ab Carver pro or wonder core smart are the best options and best value. If you really want to accelerate your fat loss goals you may want to consider a suitable fat burning supplement. They can compliment your exercise program to get better results, faster. Happy ab carving with the best ab machine for you.